Below are our members’ most frequently asked questions answered for you. Don’t see an answer you’re looking for? Contact us today and we will be happy to discuss. Not all financial advisors are certified planners. The CFA designation is the most difficult to achieve and respected financial credential in the world. The CFA designation is earned by completing three rigorous tests that focus on expertise in investment management, obtaining an appropriate work history and adhering to a code of ethics. Do I need to live in San Diego to work with you? You do not! We work with clients all over the country. From Massachusetts, to Texas, to here in California, we effectively work with clients in person, over the phone or through video conference. 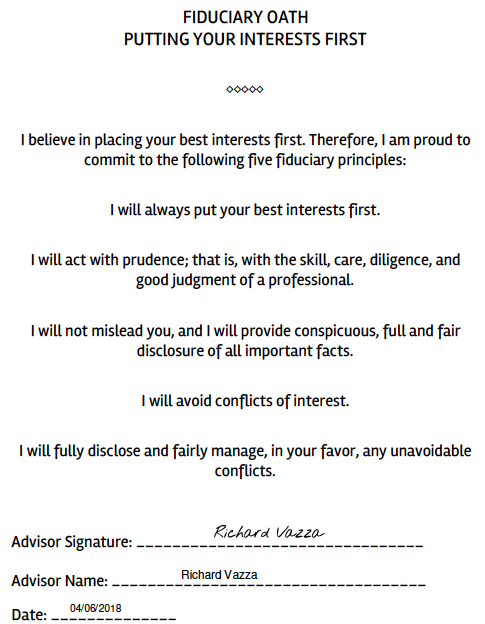 What is this "fiduciary" term so many advisors talk about now? We have a no-nonsense, transparent fee structure. We are independent, fee-only financial planners, which means our only compensation comes from the services we provide to you. We do not get paid any commissions, kick backs, “trails,” or any other fees other than from the fees we charge you directly. You're a small firm, is my money safe? When you partner with Driven Wealth Management, we utilize TD Ameritrade to hold your assets. With this model, you can rest assured you have the fraud protection from one of the biggest firms in the nation, with the individual focus of a small firm like ours.